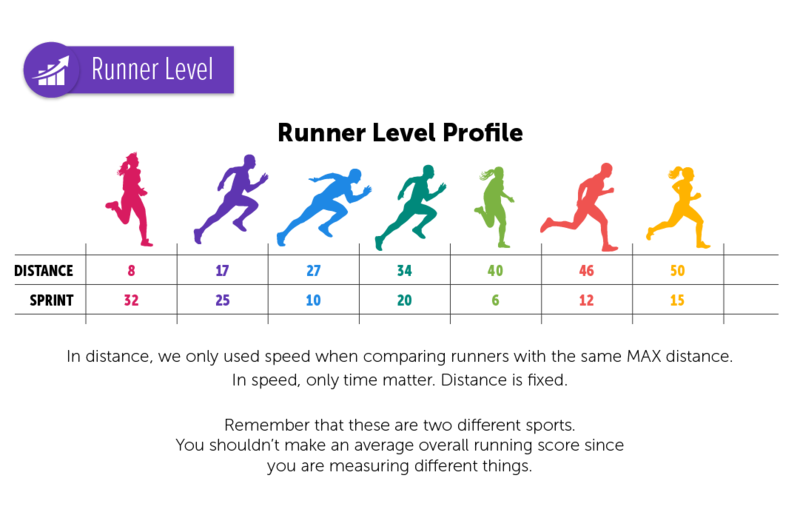 So, what is your level as a runner? Calculating the level of players in #gamification is not easy. Here are some thoughts on how to do it. I was thinking about this when talking to my wife about her growth in running. So, to explain how to calculate the progression and levels of your players, I will use some sports as an example. Why sports in #gamifiication? Simple, they aren’t called Olympic G-A-M-E-S because people compete from the office right? Sports are the best examples on how to apply game mechanics. You should pay close attention and analyze them. It will make wonders for your #gamification design. Now, defining what level you are, as a sports-person, one would say it’s impossible to put a number to it. Right but wrong. Depending on the type of WIN STATE it can be either easy or complicated to define the level of the players. I will only focus on the WIN STATE that is via GOAL since in a POINTS WIN STATE it gets tricky how to define it, specially if we talk teams (like what’s the level of a soccer player and why is that level). When a goal has been set, it’s easy to use it as a reference and defining levels becomes really easy. Let me explain with an image and people who run distance. Ok, so the image shows a graph where every KM a player runs gives them a level. It’s easy to define as most runners will train to a marathon or half a marathon. As long as you define your goal and WIN STATE clearly, you can setup your leveling up system fairly easy if you focus on the CORE ability your players should be developing as they grow. You can see how TIME doesn’t matter until they cross the MAX DISTANCE line. The red player is a level 46 runner (not 42) as his speed helps him move. However, the orange runner is Level 50 because she ran 50 KM and she is being judged by a longer distance metric. Here we have the same runners but very different results and a different scale of level progression (max level can’t be seen [Usain Bolt 9:58]). However, in the distance graphic, there is a point where the core element of measure can be swithched to speed to make a difference between high level runners. In the SPRINT, distance is always fixed, so to increase the level the player MUST reduce the speed. Now, decreasing speed from 30 seconds to 29 is easy but from 9:88 to 9:87 it may be nigh impossible. So you must make sure the scale matches the difficulty of the challenge. If you are a runner, you will understand this scale immediately and define one that fits what players experience. YOU NEED TO DO RESEARCH!!!! If you want players to feel the real progress and experience it fairly, you NEED to know why the levels are there and why you defined such scale. The core idea of gamification is take from games the best concepts and use them in real-life/non-game contexts. 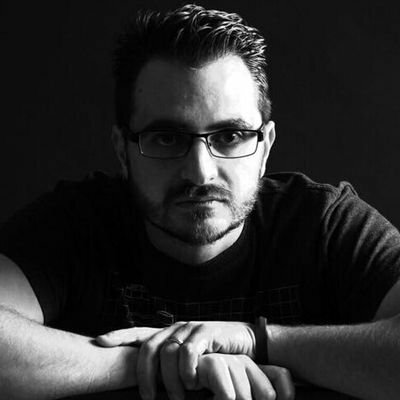 Learning from games is the best thing we can do as experts, as we cannot hope to reveal all the secrets on EVERY single game or think we can possibly build one super game that covers everything, we must take a good look into others and constantly analyze them and take the best ideas from them. I'vee been playing Diablo III for a while and it is fantastic. I believe that the part that caught my attention the most is the balance of the system. Despite what many will mention in forums and several discussions around, the game is incredibly well balanced. Now, this is NOT a game review so let's first get started there: What do I mean with balance? Balancing game systems is not about a great story vs graphics vs gameplay. It refers specifically on how well every type of character in the game can perform. Meaning that it doesn't matter if you are a wizard or a barbarian, both type of players must be EQUAL. This is one of the core components in gamification success. A balanced system will let all players feel they are treated fairly while the other hand might have them feel the system is against them. So, how does Diablo III balances all player classes? It's actually complex in a mathematical way but incredibly simple from a game designer point of view. The key lies within the stats of the player. There are SO MANY stats that it becomes absurd trying to learn each of them by heart knowing how much damage your wizard can make against undead which will change completely right after you pick up that brand new wand. Having MANY stats allow the mathematical balancing of the players be a lot easier because you have room for all player types to perform and experiment with different abilities. Characters have 4 basic attributes: Strength (STR), Dexterity(DEX), Intelligence (INT) and Vitality (VIT). The easy way is to create 4 classes that depend primarily on each attribute: Barbarian, Demon Hunter, Wizard and Crusader. You realte each of them with an attribute and you get certain balance. Think of it as rock, paper scissors. That way you have a Barbarian beating a Demon Hunter beating a Wizard beating a Crusader beating a Barbarian loop. It may seem a bit to "cody" for some, but it really is a simple question followed by basic math. Now, how does all this round up against a gamified system. In #gamification you will be dealing with many personalities. In Diablo you think of them as Character Classes. In your office or classroom they'll manifest in very different ways. Since you can't measure emotion or learning, you need to build up standard abilities of your players based on their preference and styles. Close the system down to 4 types (usually the most accepted amount in EVERY brain study ever) and make sure that there is the same type of loop. Reward growth of each ability based on what challenge the player faces: The four types are BLUE, RED, GREEN and YELLOW. If you finish a RED mission, you get BLUE points, you finish a GREEN one, you get RED points. Based on the same principles as before: BLUE > RED > GREEN > YELLOW > BLUE. That way, people will be free to choose their own style and then GROW and PROGRESS based on such style. Hope I'm not too overboard with explanations here... Hope you like it. #Gamification IS about analyzing games and making great systems. If you can play ANY game and figure out the mechanics they use and how to take advantage of the rules, you are already a #gamifier. Top 15th position in the Gamification Gurus Power 100!